What’s a good gift idea for Mother’s Day. I’m totally out of whack here on what to get, where to start. I don’t want to come off like an idiot-hound in one of those old cartoons. Nor do I want to seem overly pretentious and look like some out-of-my-league Mr. Peabody wannabe. I’m glad to help you out here. Wine’s always a good start. Red or white? Which do you think is your human’s preference? Once you got that, you’re good to go! Here’s the deal…you’re a poodle. I take it she’s a poodle freak? What (besides wine) to get for a poodle freak? Think in colors, as in home décor comfort colors. 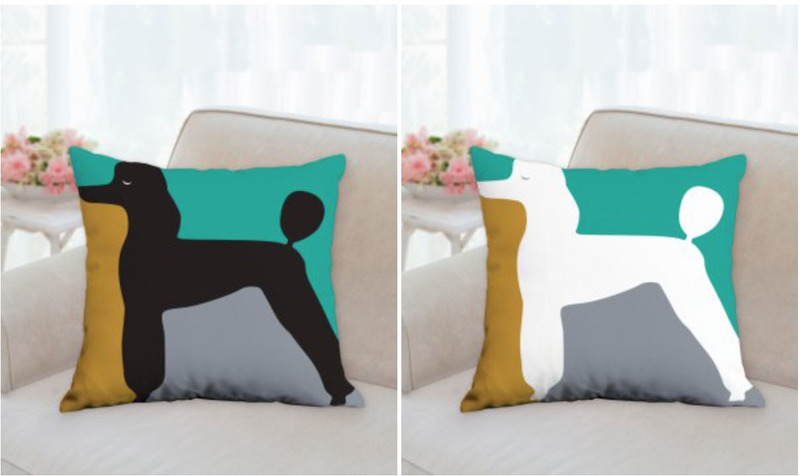 Check out these poodle pillows…gotta love anything with a poodle on it, right? 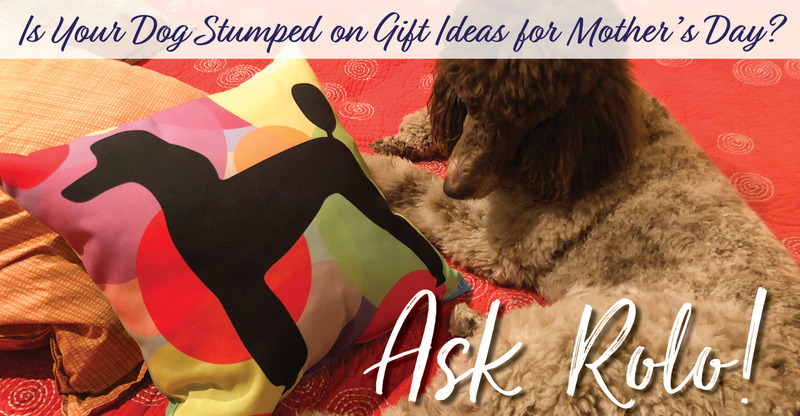 Poodle pillows make a really great idea for moms and allpet lovers.This is what you should be thinking of when running around and fetching stuff for Mother’s Day. Besides that, I own the humans that do these pillows, so they’re ok.
One nice thing about these colorful poodle pillows is that they’re comfortable for YOU to lay your head on, and curl up on top of. Heck, they’re good for placing that bird from the backyard on top of it. And like I said in last month’s post, mice look great on a pillow. Think of it as making your own little playtime pet mobile. Just be careful not to get mud on the pillow. That’s never a good in with your humans. Keep that type of behavior between you and your other 4 legged friends. Pillows are meant to be comfortable, not dirty. Don’t be THAT dog. You’re a poodle. You’re bright. These things will be appreciated like no other Mother’s Day gift that your mom’s ever gotten before. That loud, seemingly irrational behavior (remember the loaf of bread left close to the counter edge?) that you sometimes partake in will soon be forgiven when mom gets that colorful and beautifully designed poodle pillow delivered. Check out the different colors and designs that they come in. Plus, you can enjoy it too. Always be large and in charge!